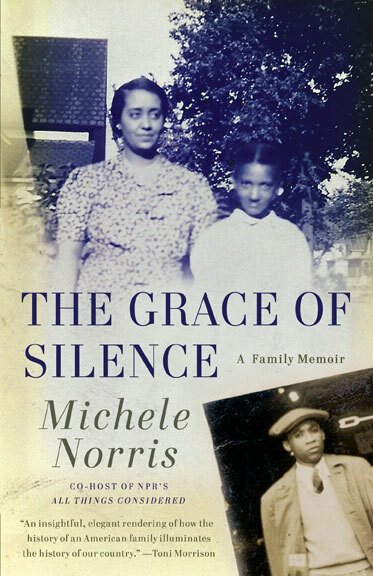 Michele Norris' The Grace of Silence began as a book about race and America's conversation on race after Barack Obama was elected president. Over the course of her research, Norris realized that her own family had a lot of secrets that were withheld from her growing up. The Grace of Silence is about her discovery of these facts - her father being shot in Birmingham, Alabama after he came back from WWII; her grandmother's stint as a traveling Aunt Jemima, selling pancakes under a trademark that many still view as racist. Norris takes us on a journey to her past - first, her time growing up in the Twin Cities, then further back to her ancestral home in the Deep South. We get to know her parents, grandparents, and extended family, and her quest to learn more about the things no one talks about. I am an NPR junkie. I'm also fascinated by looking at American history (and all history) through different lenses and perspectives. So The Grace of Silence was right up my alley. I really enjoyed the way Norris interspersed facts about American history into her personal story. For example, her father fought in World War II, but when he came back to the US, he still faced institutional racism and a lot of hate. When her parents bought a house in Minneapolis, they were the first Black family in the neighborhood; nearly all of their white neighbors moved out as quickly as they could, frightened by mortgage lenders and real estate agents that their home values would plummet if they stayed. Norris talks about how Quaker Oats wanted a celebrity spokesperson for the brand after the last one passed away in the 1950s, one to bring Aunt Jemima forward and modernize her. The only problem was, no one wanted to be a spokesperson for the brand any more. It's hard to forget that racial baggage. 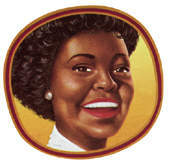 No one told Norris about her grandmother's early job acting as Aunt Jemima, probably because they were ashamed. Similarly, no one ever told her about her father being shot by a policeman in Birmingham one evening. Norris' take is that her family wanted to let go of the hate and move forward. They didn't want her to grow up thinking that all the odds were stacked against her. They wanted her to be what she wanted to be, without restriction. Norris makes an interesting point. In the US, we talk about race incessantly, often with people who look and think like us, and not often across the color barrier. The conversations, then, don't evolve as they could because they continue to be one-sided. Once you bring another race in, people clam up. White people are scared that they'll be seen as racist, Blacks are afraid they'll seem angry and confrontational, and it becomes uncomfortable very quickly. Obviously, the US has a lot of racial baggage. But should we continue to tell white children not to trust black children, and tell black children not to trust the police, and continue on as we are? Or should we try to stop that cycle? Keep our negative experiences and biases to ourselves so that the next generation can grow up with a little less fear and distrust than we did? It's a point worth considering, though obviously it runs the risk of all of us forgetting our collective history. But as science shows us, more and more, just how similar we all are, and just how small and fragile our world is, and just how massive and varied is the universe out there, maybe it's not the worst thing to use the mindset of a global citizen, rather than one tied to any one country or region. Lots to think about in this book. Check it out and let me know your thoughts! I am always fascinated by the choice between highlighting racial difference and underplaying it in favor of "everyone's the same". Both sides seem to have serious benefit especially in an area like mine where the cultural differences between groups of people are more economic than ethnic or race based. Yes, it is a difficult situation! Is it better to focus on our similarities and then ignore the possible subtext/subconscious that will inevitably creep in from the race perspective? Or better to point out all the history? I think what is most empowering for the discriminated against is probably the side I would go for, but not sure which one that would be. Thanks for this informative review. I have enjoyed getting my news from Michele Norris on NPR for years, and I'm glad to know about her book, with its family history shedding light on American history as it was experienced by her parents and grandparents, and so many others. Yes, that's pretty much why I chose this one to read, too. This sounds absolutely fascinating! 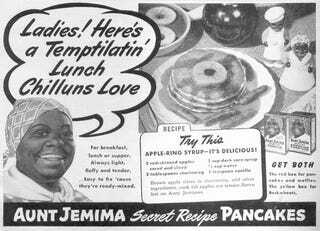 I've read a little bit about the Aunt Jemima trademark and the issues with modernizing it. I have just reserved a copy of the book through my library. Thank you for this review. Thanks for checking it out! Looking forward to seeing what you have to say about it. I liked this book, too, especially the section on Aunt J. A related book that you might like also discusses Aunt J. in the context of why Americans have held on to the image. Clinging to Mammy: The Faithful Slave in Twentieth-Century America, by Micki McElya. if you haven't read Sister Citizen by Melissa Harris-Perry it is also great forr understanding Black women. Thank you for the tips! I'll definitely look into Clinging to Mammy, which sounds fascinating/disturbing. I can see why no one talked about that particular job, but why keep silent about being shot? As someone who teaches history to children, I think it's important to present as much of it as possible. Somethings are not right for certain very young audiences, but to keep silent about what those who came before us did and had done to them seems disrespectful to me. That anyone in America can consider antebellum South a time we should look too fondly is very troubling to me. Wow, how had I not heard of this book before? Sounds fascinating - I'm going to check my library.